Download the latest versions of YeeCall on Google Play & iOS App Store to experience YeeWallet features. YeeWallet is here! 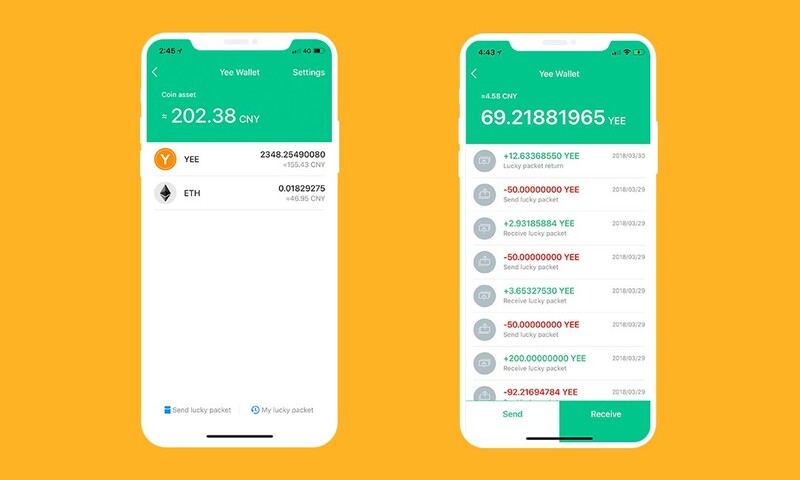 On April 3, the latest YeeCall versions that have YeeWallet built in are available on Google Play and iOS App Store now. We are so excited to announce this big news to Yee users and community members who has been following Yee project and giving us so much support. 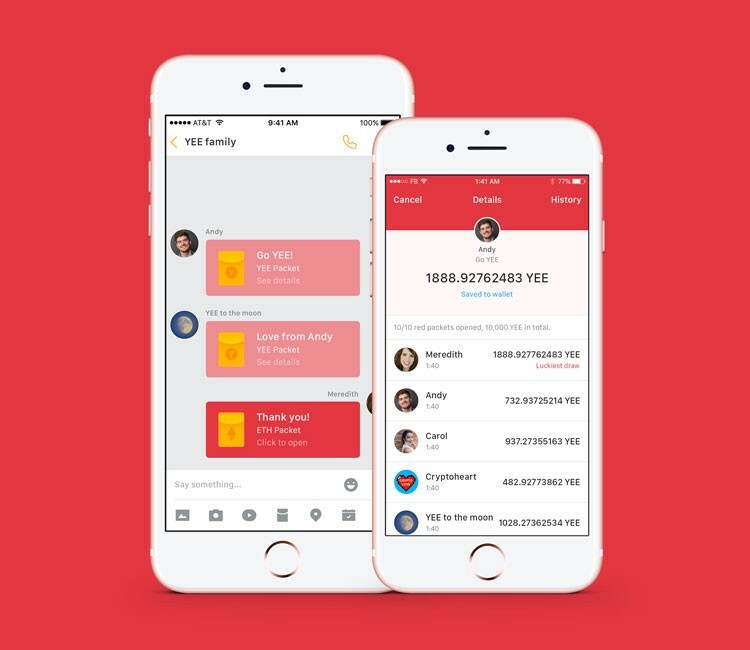 Integrating YeeWallet in YeeCall has been our goal in 2018 Q1, and achieving this goal means a lot to Yee project. 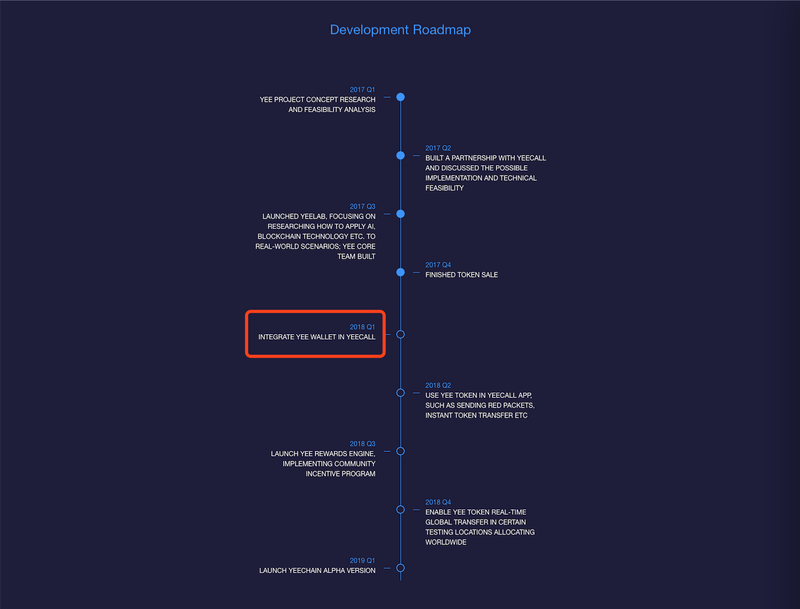 Not only is the development of Yee project in line with the roadmap, but also this big update to YeeCall is a significant milestone to both Yee project and Yee users. YeeWallet is a cryptocurrency wallet that offers one-stop digital asset management service. Currently, it supports ERC20 cryptocurrencies, including YEE and ETH. 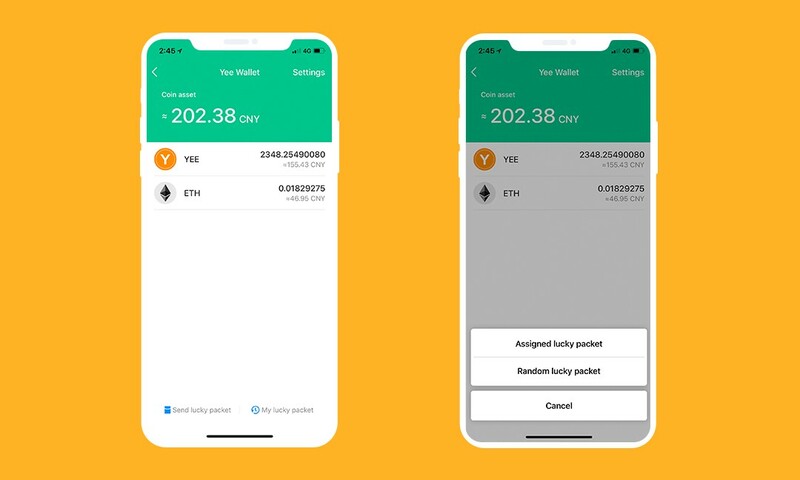 Soon it will support more cryptocurrencies to meet more Yee users’ needs. Which kind of cryptocurrencies would you like YeeWallet to support? Join Yee official group and tell us; Yee team is happy to fulfill your needs. Keep your digital asset in YeeWallet with no worries, as a series of measures has been taken to saftguard your asset. Easily transfer coins from other digital wallets (eg, MyEtherWallet ) to YeeWallet or vice versa. 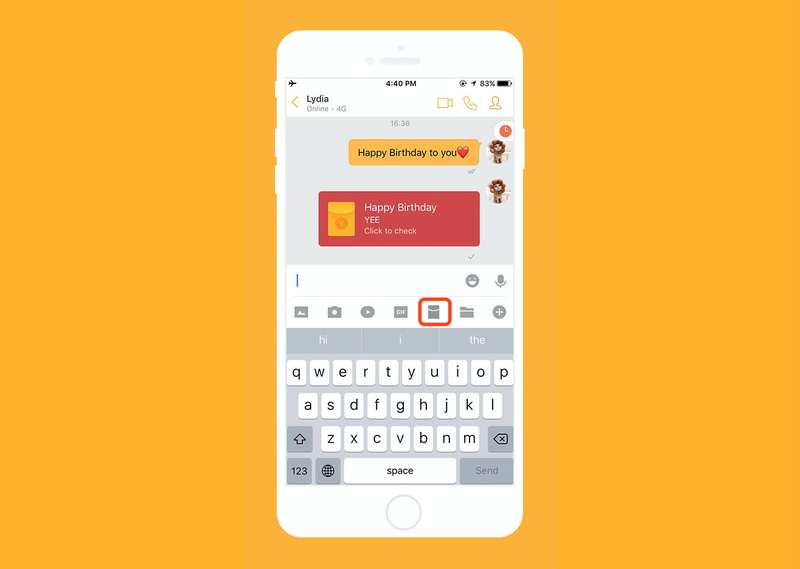 Send coins as gifts to your family, friends, or group members in the form of lucky packets (lucky packets are gift money that you send to your family or friends on holidays, celebrations or any other special days); it is also a convenient way of coin transfer. YeeWallet is very easy and convenient to use. 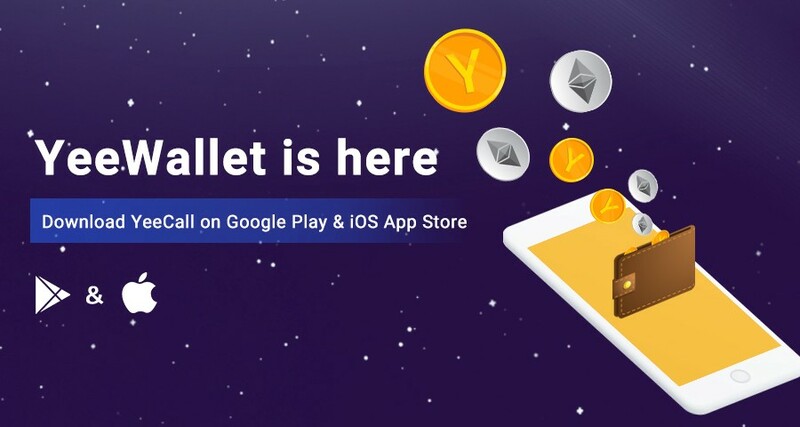 Here is a step-by-step guide for you and also an overview of YeeWallet’s features. *Before you start to use YeeWallet, please make sure you’ve updated the latest version of YeeCall. *If you can’t find YeeWallet on the Discover tab, Android users please check ‘settings’ -> tap ‘check for update’ -> reopen YeeCall; iOS users please shut down YeeCall -> reopen it. 3. 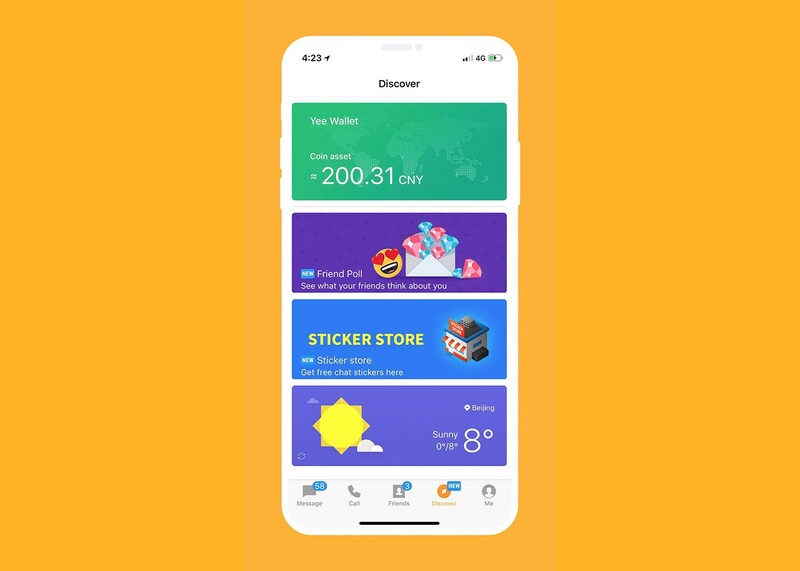 Choose YEE or ETH, tap ‘Receive’, and start to recharge YEE or ETH from other digital wallets to YeeWallet; or tap ‘send’ and start to transfter YEE or ETH from YeeWallet to other digital wallets. There are 2 types of lucky packets, assigned lucky packet and random lucky packet. Assigned lucky packet is 1v1 packet that you send to one of your contacts. Random lucky packet is group packet that you send in a group and the group members can snap for the lucky packets. 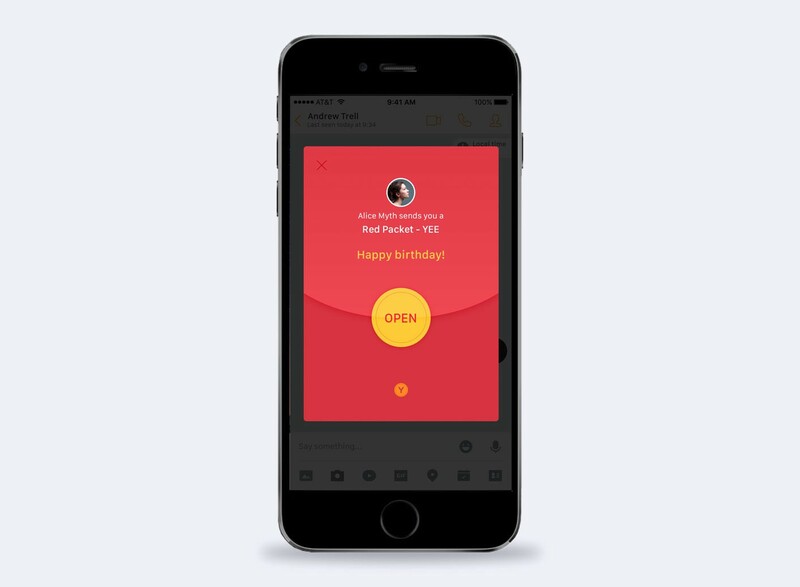 As to receiving lucky packet, you’ll be notified when a lucky packet is sent to you. If it is an assigned lucky packet, just open the packet and receive the coins; if it is a random lucky packet, open fast to snap for it, because it may be snapped up already if you are not faster than other group members. Interesting, right? Download the latest versions of YeeCall on Google Play & iOS App Store to experience it now! If you have any suggestions about user experience, feel free to tell us by joining Yee official group in YeeCall, where YEE giveaway is waiting for you.